Whether you are weekend camping with a friend or backpacking for an entire week, you need to make sure you have the best 2 person tent. This tent should be able to keep you comfortable and at the same time, it should be able to hold up under the harshest weather. Some of the best camping tents on the market today are ones that have been put through rigorous tests. Ultimately, these amazing shelters with durable fabric are the gold standard. They have strong framing systems that hold it together, under almost any circumstance. 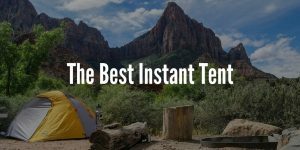 Let us now look through 5 of the best 2 man tent options that are most popular today. 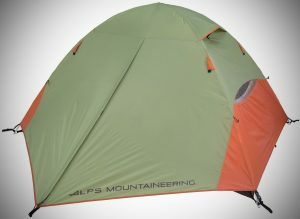 This two man tent, made by ALPS Mountaineering, is made out of durable polyester. It has a free standing, two pole system which is held together by its strong fiberglass frame. If you are looking for easy assembly, this tent offers that to its customers. It has clips that quickly snap over the poles. This 2 person tent has a 75D 185T polyester fly and taffeta floor with great ventilation, due to its two doors. You will not have worry about ultra-violet damage to this tent because its fabric is UV-resistant. Moreover, its weatherproof design is a testament of many years revolutionizing this facet. With two vestibules of storage, you will have a lot of room to store all your gear. One great feature with this tent is the mesh roof vents offer campers a great star gazing opportunity. You just have to make sure that the weather cooperates. One drawback might be the limited amount of people space. You will have plenty of room to sit, but standing up or kneeling will be quite difficult in this tent. 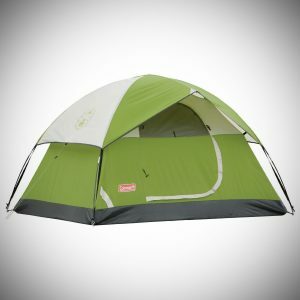 The Coleman Tent is one of the more inexpensive tents on the list, but do not think for a moment it will not live up to your high standards. With a Polyester taffeta 75 denier flysheet, this two man tent is meant to hold up under the harshest conditions. Do not worry about heavy rain; this tent will keep the water out, leaving you very comfortable inside. It also has a dome structure with one door. Its easy tow-pole design was made for a quick set-up. Within it, there is an electric accessibility port as well. It is perfect if you have other gear that needs electricity. The tent poles are one of the drawbacks of this tent. Unfortunately, its tent poles are made out of cheap cordage, so the elastic cord could break on you at any time. If you are seriously sold on this tent, be sure to bring a repair kit with extra para-cord, just in case this happens to you. This two person tent, from ALPS, is also great option. At 5 feet by 7 feet and 6 inches, this tent has good size. You might even compare it to one of the best family tents available because it feels so big. It is made from polyester taffeta, giving it great durability. With a free-standing, 2 pole design, each pole is made of fiberglass so it will surely stand together quite well. This tent offers great ventilation with its 2 zipper windows and large side panels that are made from mesh. A weatherproof fly keeps this tent dry and comfortable. Its factory sealed floor and fly seams give it a superb protection. If you are looking for easy access into your tent, this one has 2 doors with a “single zip operation” system, making it easy on you and on the tent. It is light, small, easy to pack, and affordable for you to get out there and camp in the great outdoors. 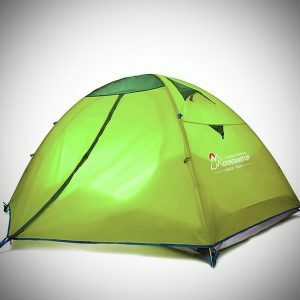 This 2 man tent, from Mountaintop, offers its customer great bang for their buck. Its material is made from waterproof polyester and has an aluminum pole frame. 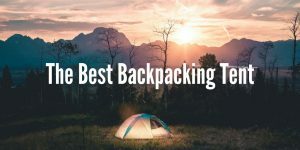 It is super easy and quick to set up for a several-day hike or tear down after your adventure has ended. The inner and outer tent connects together, making it suitable for any rain. With a spacious design, it can accommodate two people in a large space. 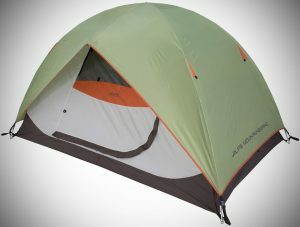 You might even want to consider putting 2 nice sleeping pads inside to add to the luxuries of this tent. 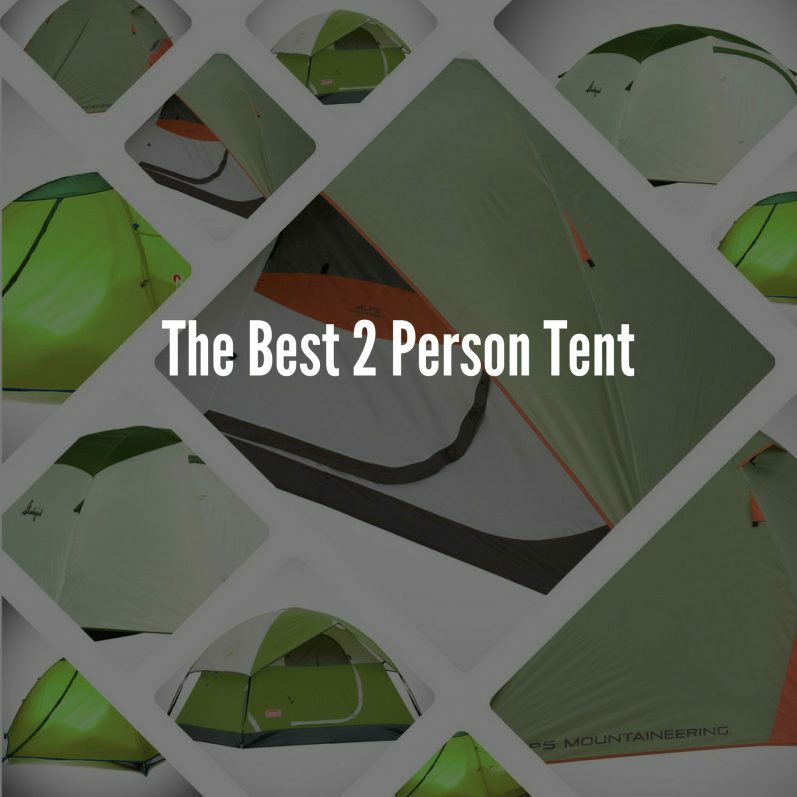 If you are looking for great ventilation, this 2 person tent is designed with double-doors. It also comes with an anti-tear feature and it is wear-proof and moisture-proof. It has a ninety day limited warranty, if you are not completely satisfied with everything it has to offer. The one drawback is that it is one of the heavier tents, so you might want to take that into consideration. 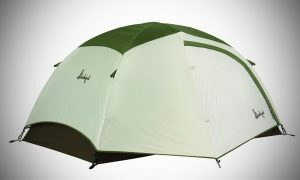 The Slumberjack tent, my personal favorite, this is a gorgeous looking tent. Made from polyester, this free-standing trail tent will give you full coverage under the rain. It is ideal for fishing, backpacking, or anything else your adventurous mind can come up with. With its easy set-up, you will have loads of time for other excursions. 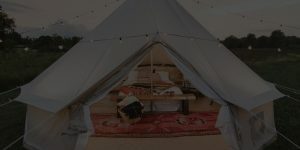 Some features for this tent include: sturdy poles made from fiberglass, a heavy-duty polyester construction with seams, ventilation panels, and zipper pulls that are completely quiet. Imagine yourself not waking up your partner in the tent, due to zipper sounds. Weighing only six pounds, this 2 man tent has all the amazing features you would expect. If you are worried about how it will hold up under a bad weather, do not be concerned. Some camping tents might cave in during a hard rain or snow, but this one will stay upright and leave you with a sense of peace. It will exceed your expectations and will perform far better than a tent that costs twice as much. With the extra money you save, who knows what you could purchase next. This is one of the best tents I have ever used! 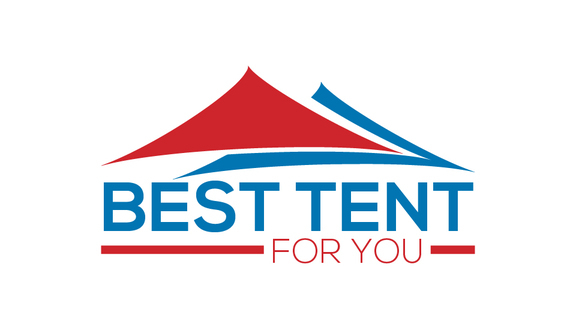 *PS If you feel you need a bigger tent check out our best 4 person tent guide .